ADRESS: 4 Nauky Avenue, Kharkiv, 61022. 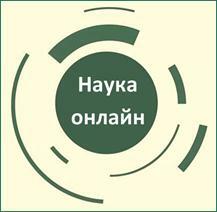 Ященко Марина Іванівна – кандидат медичних наук, доцент. The Department performs its academic work on the basis of the ENT Unit of Kharkiv Regional Hospital. This work consists in training fourth-year students of the faculties of medicine, who specialize in general medicine, fourth-year students of the faculty of dentistry, who specialize in dentistry, English medium fourth-year students of the 6th faculty of medicine, who specialize in general medicine, in the course unit “Otorhinolaryngology”. In order to improve the educational process quality, computers were installed at the Department and the latter has drawn up a curriculum and a program for controlling knowledge in the course of otorhinolaryngology. 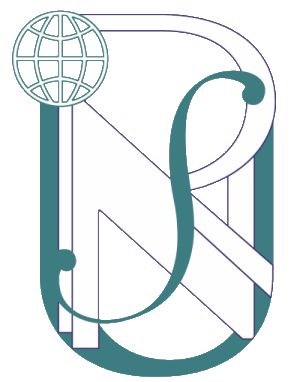 The Department has published 43 manuals for students and interns. The Department provides systematical trainings to prepare students for license test “Krok-2”. Students of the Medical and Stomatological Faculties work directly with patients from the Otorhinolaryngological Unit. A cycle of postgraduate training of family doctors in “Otorhinolaryngology” is organized on the basis of the ENT Unit. Improvement in the efficacy of diagnosis and treatment of patients with ENT pathology with help of endoscopic systems, surgical lasers, shavers. In order to improve anti-recurrence therapy of chronic polypous rhinosinusitis, a technique was developed for using bacterial autovaccines. To make the treatment of hypertrophic pharyngitis, rhinitis and sinusitis more active, cryosurgical equipment, various modifications, designs and tips were suggested, protected with patents and are used. 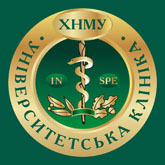 A scientific school of otorhinolaryngologists, headed by A.S. Zhuravlev, works at the Department. Under the supervision of the Head of the Department, 22 ENT interns, 8 clinical postgraduates and 2 masters were trained; 4 Candidate theses have been defended since 2000. One Candidate thesis is submitted for defence, 2 Doctorates and 2 Candidate theses are in the process of their writing. Significant scientific achievements of the Department are generalized in 14 useful model patents and 20 certificates of introduction. The Department is clinically based at the ENT Unit of the Regional Hospital and at Science- Practical medical centеr of KNMU. Workers of the Department carry out a number of surgical interventions on ENT organs. The nose and paranasal sinuses: redressment and reposition of nasal bones in fractures; surgical techniques for arresting nasal bleedings; different kinds of endonasal operations, including opening of the paranasal sinuses; sanitizing operations in the ethmoidal, frontal and sphenoid cavities; open and closed rhinoseptoplasty; plastic operations in the maxillofacial region. The pharynx, larynx, neck: adenotomy, tonsillectomy, opening of paratonsillar, parapharyngeal abscesses and phlegmons; superior, middle and inferior tracheotomy; thyreotomy; excision of cervical cysts; laryngectomy; partial resections of the larynx. Operations on the ear: polipotomy of the ear; paracentesis of the tympanic membrane (laser and surgical); antrotomy, antromastoidotomy, mastoidectomy; endoural placement of a shunt into the tympanic membrane; tympanoplasty; radical operations on the ear (according to Stacke, Schwartze, Zaufal-Lewin); plastic operations on the ear; stapedoplasty.